Facing a hardwood floor installation project may have your mind spinning with questions and ideas. It can be an overwhelming process. The good news is our team at Atlanta Floors is here to take the stress away and deliver exceptional installation services to give you peace of mind and a beautiful result. Whether you are considering a hardwood floor installation for your home or business, we can provide the attentive customer service and expertise you need. Perhaps you aren’t sure where to start, or you know exactly what you want in your floor result—either way, we are here to make it happen. Our Atlanta Floors team members have experience putting in floors for a wide variety of customers. 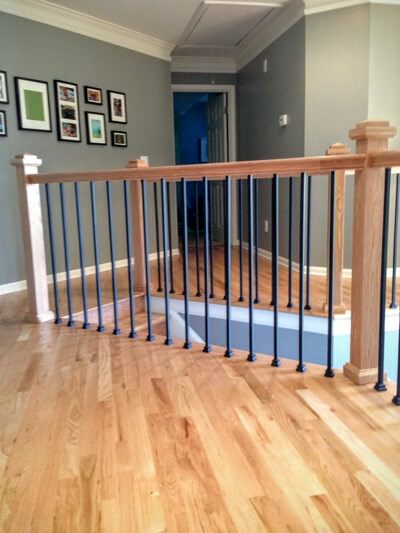 We know wood floors inside and out and know how to get the job done right every time. I had john and his crew install hardwood flooring in my house and I must say everything was done professionally and the quality of work was top notch. Pricing was reasonable and I was very appreciative of his patience with me and customer service. • Experienced, expert installers with the top training and screenings to ensure every customer receives professional service. • Strict adherence to National Wood Flooring Association installation guidelines. • Expertise in installing a wide variety of flooring, including solid and engineered wood and laminate flooring. • Expertise in all relevant installation types, including floating, nail down, or glue down. • Friendly and thorough customer service. You never have to wonder what’s going on or have unanswered questions. We want to ensure you are well-informed and comfortable with the process from beginning to end. • Carpet, wood, tile removal and disposal. • Trim and transition installation. • Complete cleaning of new floors. Are you ready to get those beautiful hardwood floors installed for your home or business? Our team at Atlanta Floors is ready to help you. Contact us today online or at 404.915.5054 to schedule your hardwood floors installation.